(Vienna, August 27, 2018) Glioblastoma is a highly aggressive brain cancer that predominantly affects people in their 50s, 60s and 70s. Even under the best available care, half of the patients die within one year after diagnosis, and very few live on for more than three years. Many efforts to develop new, targeted treatments have failed over the last decade. The high degree of molecular heterogeneity among the cancer cells results in evolutionary selection for those cells that can withstand drug treatment. In order to develop better therapies for glioblastoma, detailed knowledge about the molecular heterogeneity of the tumor cells will be crucial, given that this heterogeneity provides the substrate from which drug resistance evolves. Genetic factors such as the amplification of tumor-promoting genes and the deletion of tumor suppressor genes play an important role, but cancer is more than genetics. Recent research suggests a key role of epigenetics, which regulates gene expression and prevents the activation of harmful genes. Whether and how epigenetic regulation changes when a glioblastoma becomes therapy-resistant has been a largely unsolved question. To investigate the role of epigenetics in glioblastoma disease progression, the research group of Christoph Bock, Principal Investigator at the CeMM Research Center for Molecular Medicine of the Austrian Academy of Sciences, analyzed DNA methylation (which is the classical epigenetic mark) in more than 200 glioblastoma patients, focusing on the epigenetic changes that occur during glioblastoma disease progression. In close collaboration with scientists at the Medical University of Vienna and clinicians at eight hospitals throughout Austria, a study published in Nature Medicine (DOI: 10.1038/s41591-018-0156-x) identified epigenetic changes that accompany glioblastoma progression and predict patient survival. This research builds on the Austrian Brain Tumor Registry, spearheaded by Adelheid Woehrer from the Institute of Neurology at the Medical University of Vienna, who is a senior and corresponding author of the study. "A particular strength when working with a national patient registry is the integration across centers and creation of a cross-disciplinary team of disease experts. This approach enabled us to effectively address a relevant research question in the context of the Austrian population", Woehrer says. 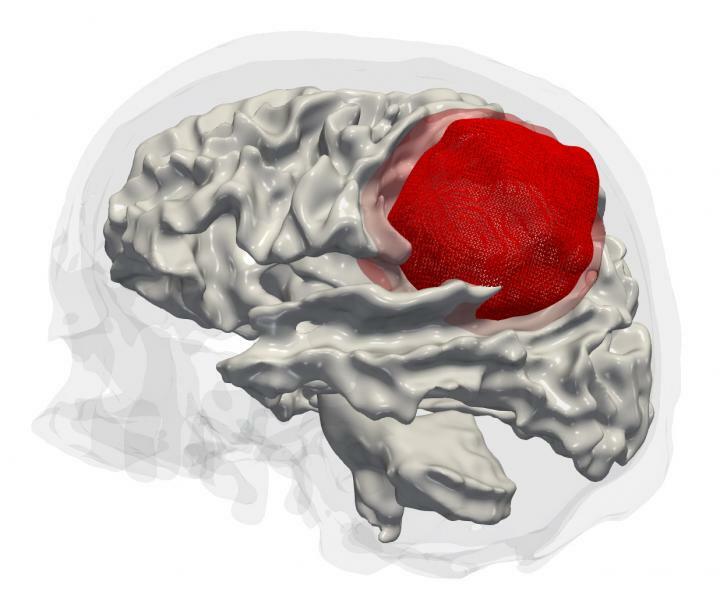 Combining epigenetic data with brain imaging and digital pathology, the study established important links between glioblastoma at the level of molecules, cells and organs. These associations can be exploited for improving disease classification: "DNA methylation sequencing – as a single test – can be used to predict a wide variety of clinically relevant tumor properties", explains CeMM PhD student Johanna Klughammer who led the data analysis, "providing us with a powerful new approach for characterizing the heterogeneity of brain tumors". This study thus establishes a rich resource for understanding the role of epigenetics in glioblastoma and a new toolset with broad relevance for personalized medicine. Moreover, it demonstrates the power of nationwide coordination and collaboration in medical research. Senior author Christoph Bock comments: "We have a high-quality healthcare system in Austria, which we need to make future-proof by incorporating rapid progress in precision medicine. Our study demonstrates what it will take to advance clinical care through biomedical research in Austria: interdisciplinary collaboration, access to the latest technologies, and the ambition and financial resources to successfully perform projects of this scale." Authors: Klughammer J*, Kiesel B*, Roetzer T, Fortelny N, Kuchler A, Nenning KH, Furtner J, Sheffield NC, Datlinger P, Peter N, Nowosielski M, Augustin M, Mischkulnig M, Ströbel T, Alpar D, Erguener B, Senekowitsch M, Moser P, Freyschlag CF, Kerschbaumer J, Thomé C, Grams AE, Stockhammer G, Kitzwoegerer M, Oberndorfer S, Marhold F, Weis S, Trenkler J, Buchroithner J, Pichler J, Haybaeck J, Krassnig S, Mahdy Ali K, von Campe G, Payer F, Sherif C, Preiser J, Hauser T, Winkler PA, Kleindienst W, Würtz F, Brandner-Kokalj T, Stultschnig M, Schweiger S, Dieckmann K, Preusser M, Langs G, Baumann B, Knosp E, Widhalm G, Marosi C, Hainfellner JA, Woehrer A#, Bock C# (*These authors contributed equally to this work; #These authors jointly directed this work).